The present composition of the United Nations is a thorn in the side of some African leaders who question why none of the five permanent members to the Security Council is a black African. The Security Council is a powerful decision-making body within the house of nations. It is charged with maintaining global peace, admitting members to the UN and approving changes to the agency’s charter. It has 15 members, but only five are permanent and hold veto powers. They are Russia, China, France, the UK and the USA. Despite being the recipient of most declarations on peace and security, Africa can have only non-permanent members who do not influence major decisions. 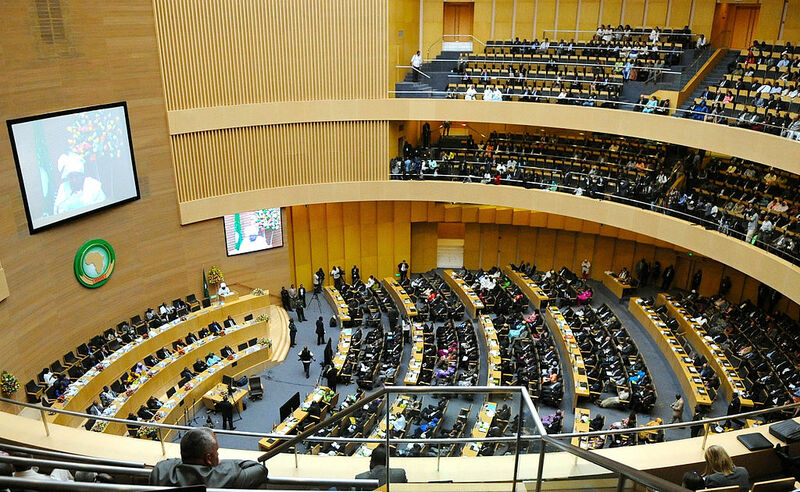 At its 26th ordinary session in Addis Ababa this week, the African Union is expected to take up the call for reform of the most powerful arm of the U.N.
A Committee of 10, including Kenya, Algeria, Libya, Senegal, Sierra Leone, Namibia, Zambia, Uganda, Equatorial Guinea and Congo is resolved to put the issue as first item on the AU agenda. “The Security Council does not reflect 21st century political and economic realities. This underrepresentation is discriminatory, unfair and unjust,” said Kenya’s Foreign Cabinet Secretary Amina Mohamed. Kenya, alongside Equatorial Guinea were the main lobbyists for the “Africa Common Position” in 2005 which said in part: “Africa’s goal is to be fully represented in all the decision-making organs of the UN, particularly in the Security Council. As for women’s rights, also on AU’s agenda, two issues are making headlines. Zimbabwe’s highest court this month outlawed child marriage, ruling on an application by two former child brides. “I’ve faced so many challenges,” said, Ruvimbo Tsopodzi , one of the applicants in a press interview. “My husband beat me. I wanted to stay in school but he refused. It was very, very terrible,” said the mother of one, who was married at 15. Until the ruling, the country’s Marriage Act set the minimum age at 16 for girls and 18 for boys. The Customary Marriage Act sets no minimum age. Lawyer for the two women, Tendai Biti, called the ruling “historic and revolutionary.” “It’s a great day for women,” she said. However, celebrations would not last long as long as there were no penalties for those who ignore the court’s ruling. Also in the news, South African Mayor Dudu Mazibuko is facing questions over her decision to award 16 scholarships for young women who are virgins and remain so while at college. Winners of the “Maiden’s Bursary (scholarship) Awards must take regular virginity tests in order to keep their funding.